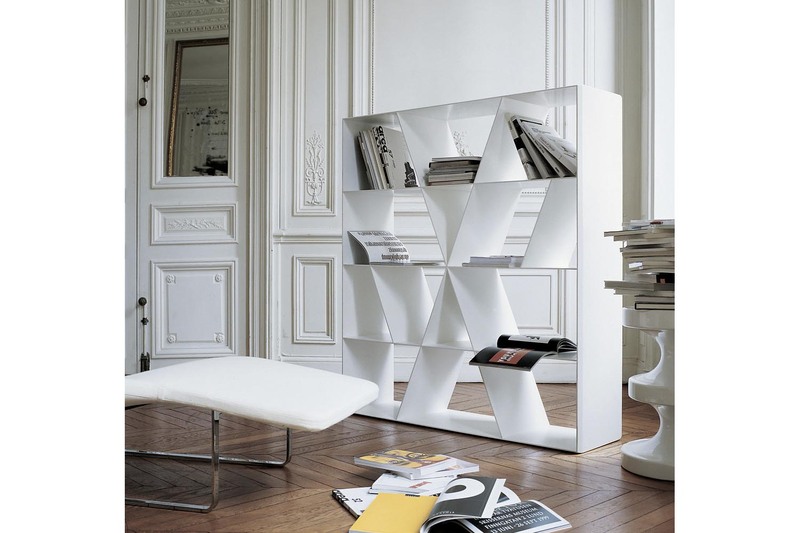 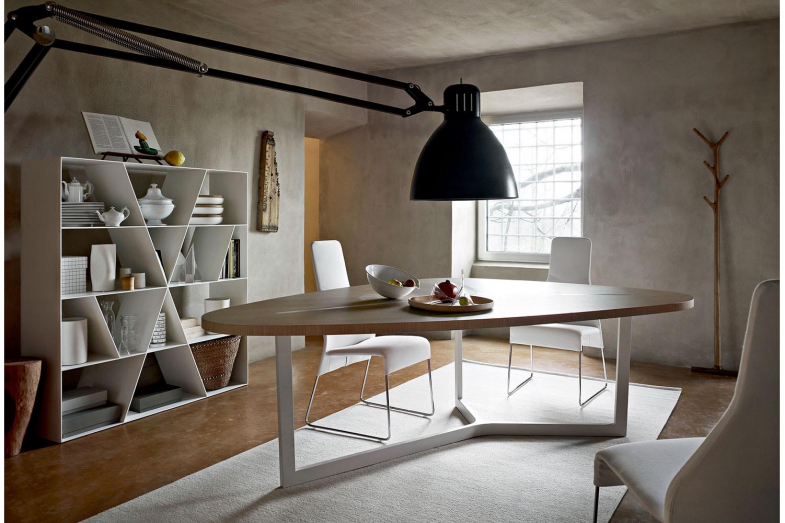 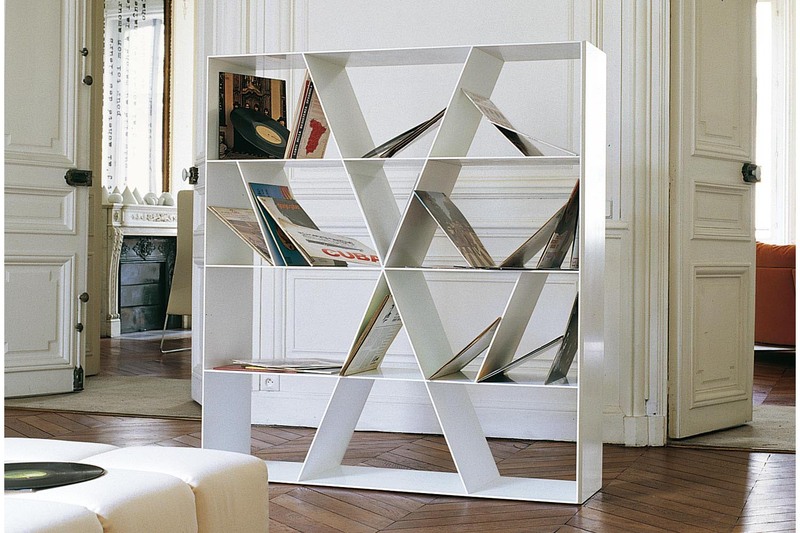 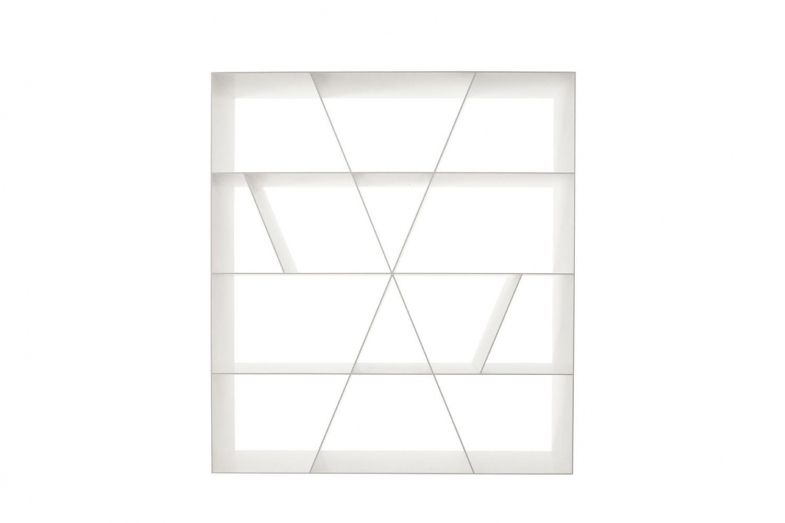 The Shelf XL bookcase can be set up along the wall or in any place mid-room as a partition; its distinguishing feature is the X shaped diagonal that links outer frame and shelves. 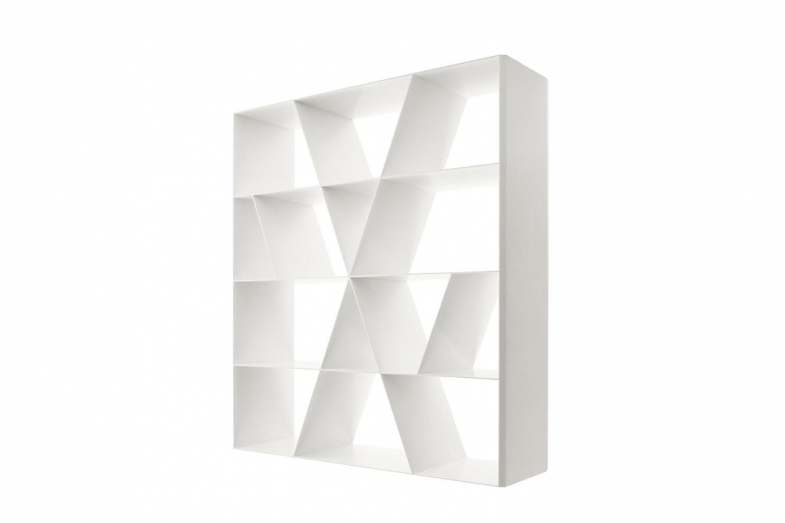 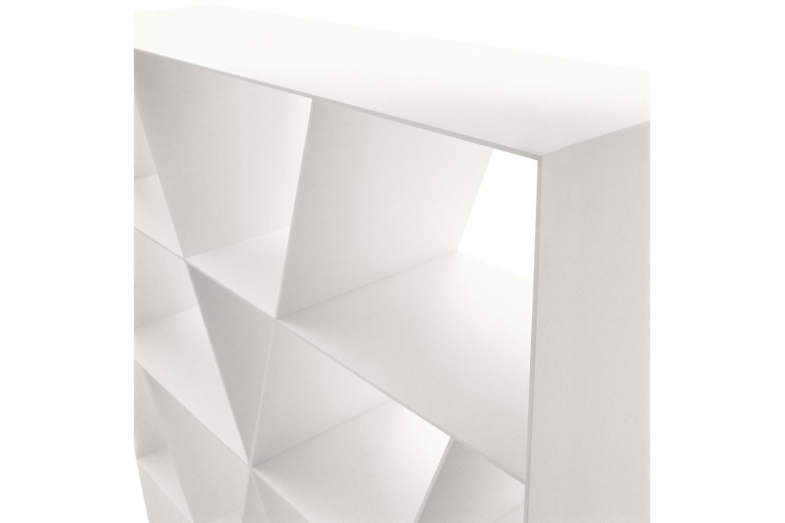 Enhanced by a high graphic impact, this bookcase made in white acrylic material, gives the impression of having been ‘carved’ from a block of marble. 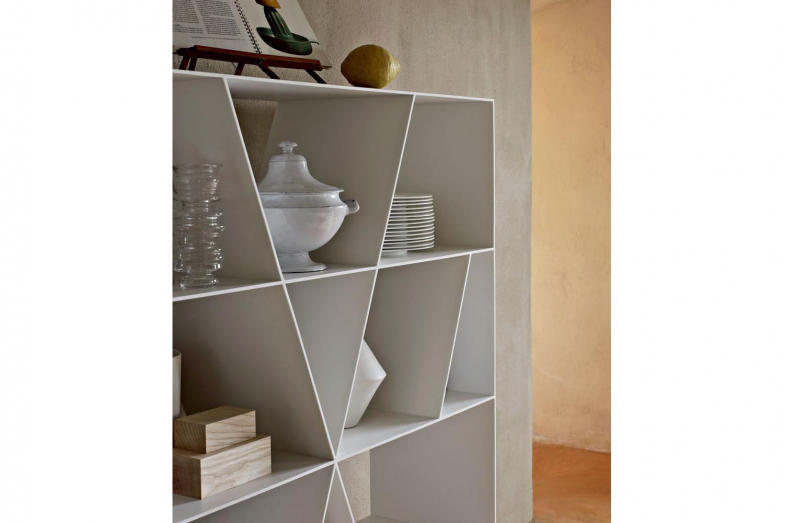 Its preciousness is enhanced by the slenderness of its elements; the design is set off by the partitions of the various levels, whose arrangement parallel to the X diagonals creates a ‘relaxed’ effect, as its designer likes to put it.